URL shortener with UTM tracking | Shorten your links for free! Create bite-size links to make your tweets and statuses look clean and professional. On-the-spot social sharing buttons for greater speed and broader reach. Log in with Facebook to track clicks for everything you’ve shortened. We’re building new free tools every few weeks. Subscribe to get notified. URL shortener is an online tool that converts your long links into shorter ones. Shortened links are clean, easy to share and memorize. Is it the same as bit.ly or goo.gl? Yes, our Link shortener works like bit.ly, goo.gl, facebook url shortener or twitter url shortener. The difference is that we provide an all-in-one URL shortener combined with a UTM builder totally for free. With LiveChat link shortener you can track clicks, customize the link, add UTM tags and get rid of long, unfriendly links – all without any fees. No, our URL shortener doesn’t hurt SEO (Search Engine Optimization). We use only 301 redirects that transfers all the SEO power to your page. Actually, it can help your SEO – the better you promote your content, the more backlinks you might collect from users who share your link. Does it work well with social media channels? Of course it does! Links shortened with our URL shortener make your posts look more professional and boost clicks. Your original social descriptions and images stay intact, so you can promote your content on Facebook, Twitter, LinkedIn, Google+ or wherever you want. How can I shorten link? To shorten link you need to scroll to the top of the page, enter your long url in “Your long link here” field and click “Shorten” button. After the click your new shortened link will be ready. Link Shorteners allow you to tag and track your links effectively. With our analytics and UTM parameters you can easily see which links get more clicks and which marketing campaigns perform better. Use this information to optimize your campaigns for better results. Check 8 reasons why to use URL shorteners to find out what other benefits you can get. URL builder is a free extension connected to our URL shortener. It lets you add UTM parameters to your links. These parameters (tags) show complete information from which channels you receive your traffic. You can find this data in your Google Analytics » Acquisition » All traffic » Source/Medium report. Why is The Mighty URL Shortener free? 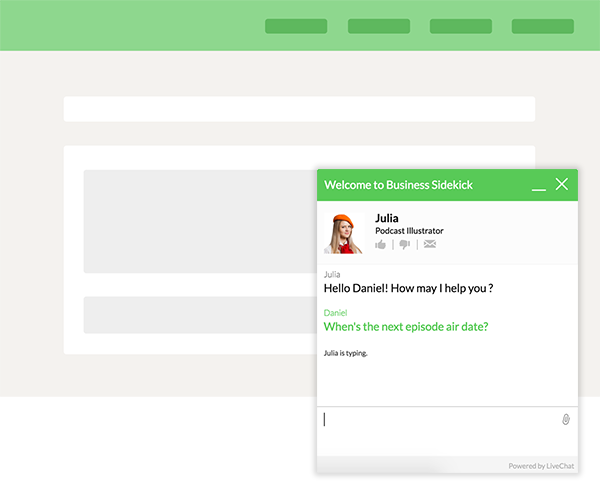 This link shortener is a free, fun project made by LiveChat Team. As we often used bit.ly or goo.gl (google url shortener) to shorten our links, we decided to build our own internal url shortener with extra built-in URL builder. After a few months we decided to roll it out for free for everyone.